Find a great deal on Highland Park ISD Homes for Sale with VIP Realty's fast and free real estate search. View listing photos, review sales history, and use our detailed real estate filters to find the perfect Highland Park ISD Home. 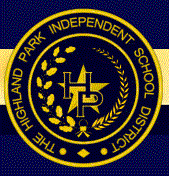 The Highland Park Independent School District is a public school district based in Highland Park, Texas. VIP Realty’s comprehensive website features many Highland Park ISD homes for sale and Highland Park homes for lease, thereby allowing families to find their dream home in Highland Park or University Park. Regardless whether you are looking for Highland Park ISD homes for sale or Highland Park homes for lease, VIP Realty has the information needed to find your dream home in Dallas! Want to purchase a home in the Highland Park ISD? Call your Highland Park real estate team, VIP Realty at 214-295-4888. Your neighborhood Highland Park REALTORS® and agents are here to help with the Dallas area housing market. If you're looking for a home for sale or lease in the Highland Park ISD - school district, don't hesitate to call your local Dallas real estate experts at VIP Realty.